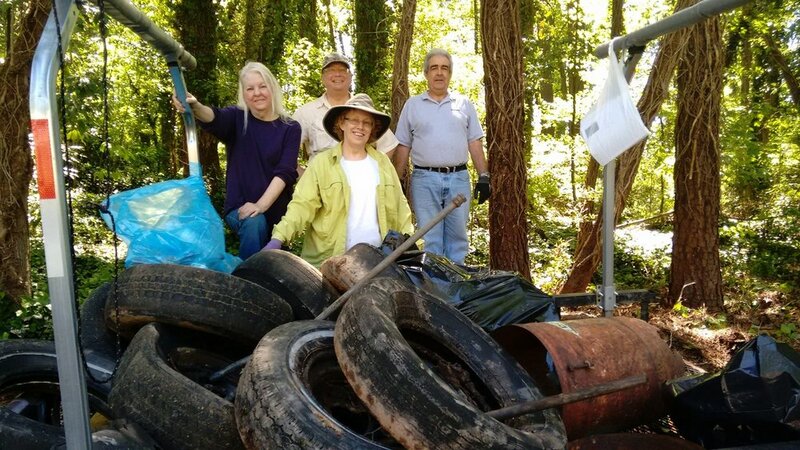 North DeKalb Greenspace Alliance Inc. was formed by a group of citizens concerned about conserving natural resources in the community of North DeKalb, GA. We are committed to saving the natural features of the land in our neighborhood. We see the absolute need for protecting appropriate land parcels in our community as a place to respect, appreciate and learn about the natural beauty of our area. Our current project is the greenspace area referred to as Ashford Forest Preserve (AFP). It is approximately 30 acres of largely undisturbed land that lies to the west on Clairmont Road across from DeKalb Peachtree Airport. It consists of old growth forest, a meadow, several springs and a wetland area. 30 acres of unspoiled old-growth forest. Ashford Forest is one of the last of its kind in urban Atlanta. Work Day for tree plantings & clean up in Ashford Forest.